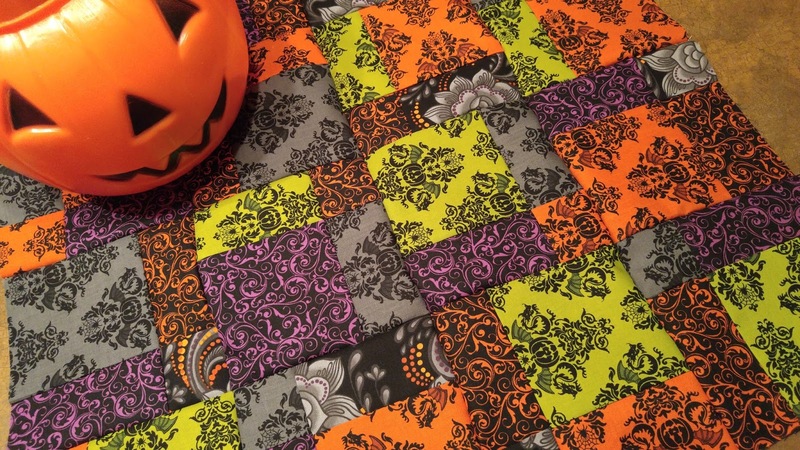 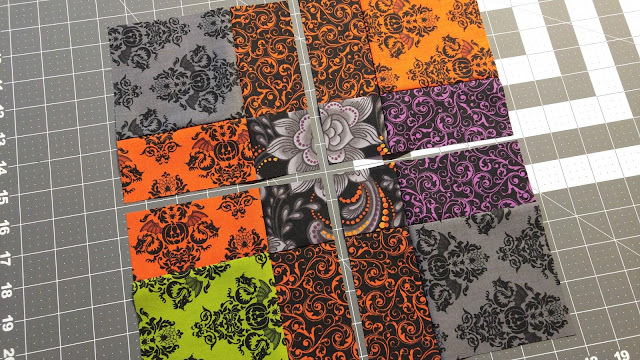 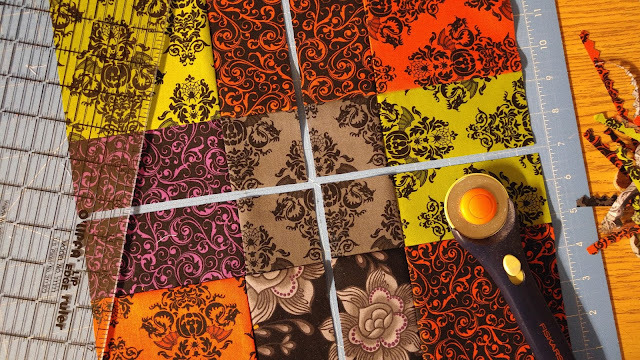 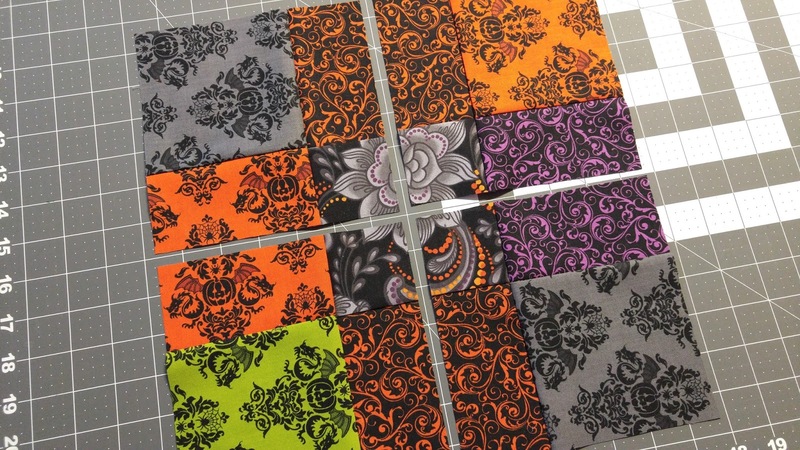 While waiting for the Halloween scraps to arrive via snail mail, I pulled out some of my own Halloween fabrics and decided to whip up a couple disappearing nine patch mini quilts. 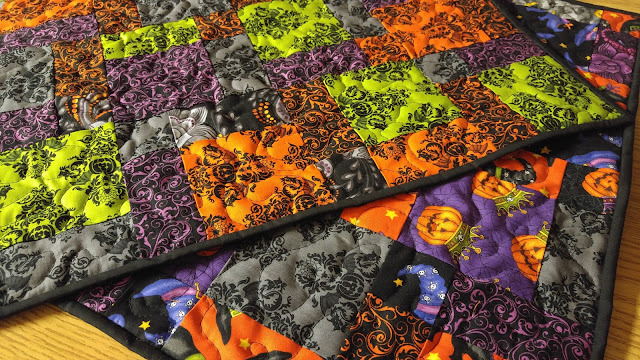 I pin basted both of the tops and quilted them with my darning foot on my Bernina 930 Record. 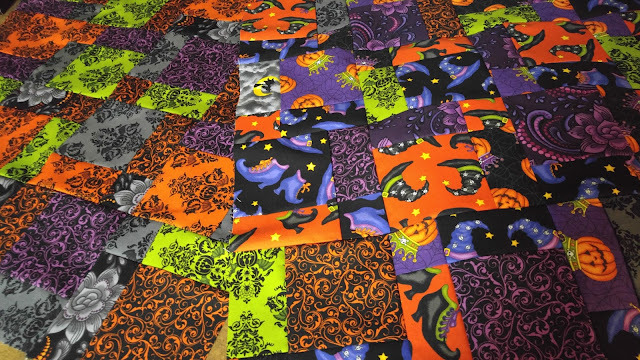 I did loops on one and a stipple design on the other. I used a solid black fabric for the binding. 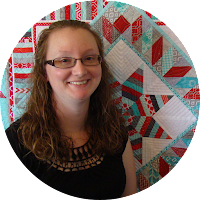 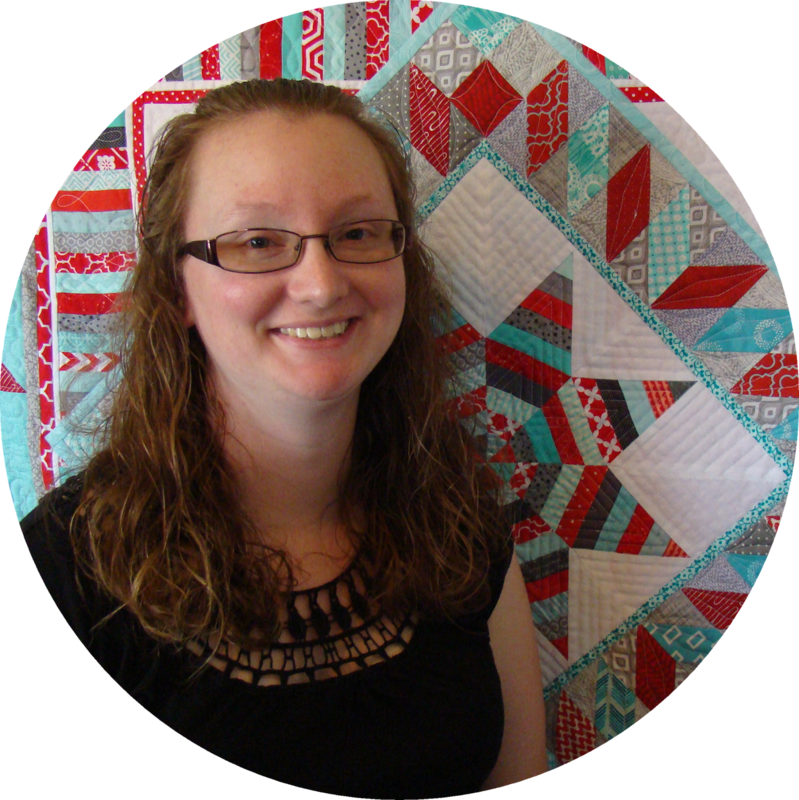 I gifted both quilts to friends as Pay It Forward gifts in September 2016.